Quintel has 25-plus years of experience in the fabrication of pipe, including for use as heat exchanger shells, in a wide variety of sizes, shapes and types. Materials we can use in pipe fabrication include -- but are not limited to -- stainless steel, high and low carbon steel, Hastelloy®, and aluminum, in addition to dissimilar metal combinations. Other applications for our fabricated pipe include for assemblies such as oxygen distributors and jet coolers. Our team has the expertise needed to fabricate carbon steel according to the careful specifications required to avoid slag and sparks in oxygen distribution applications. 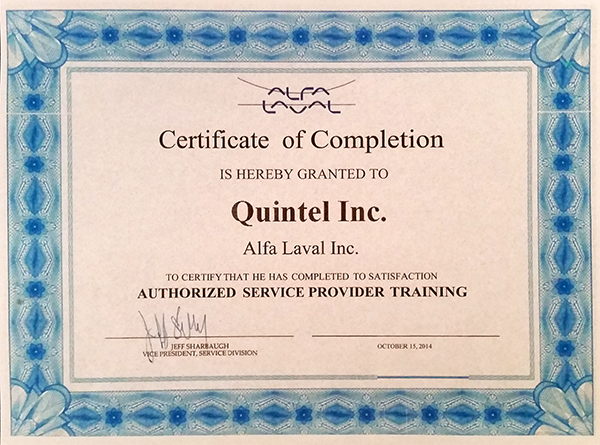 An ASME-code shop, Quintel carries an R stamp, certifying our shop in the repair and/or alteration boilers and other pressure-retaining items. Quintel has the equipment to handle the complete gamut of pipe fabrication jobs. Our laser welding equipment includes TIG, MIG, ARC, AIR ARC and FUEL GAS welders. Our own heat exchanger transportation equipment also stands ready when needed to smoothly and efficiently get the work to where it’s needed, from our pickups to our 22-foot stakebed truck and OTR flatbed truck. 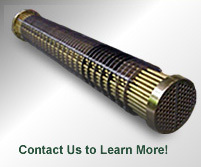 If you have any questions about our pipe fabrication abilities or other heat exchanger repair services, please contact us. Request a quote to learn more about how we can fabricate pipe or heat exchangers to your specifications.